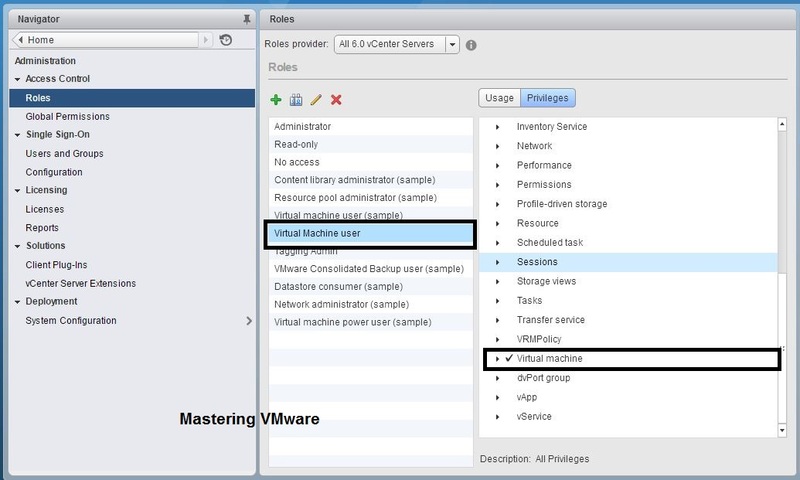 VMware has announced the vCenter Server Appliance 6.5 last year. 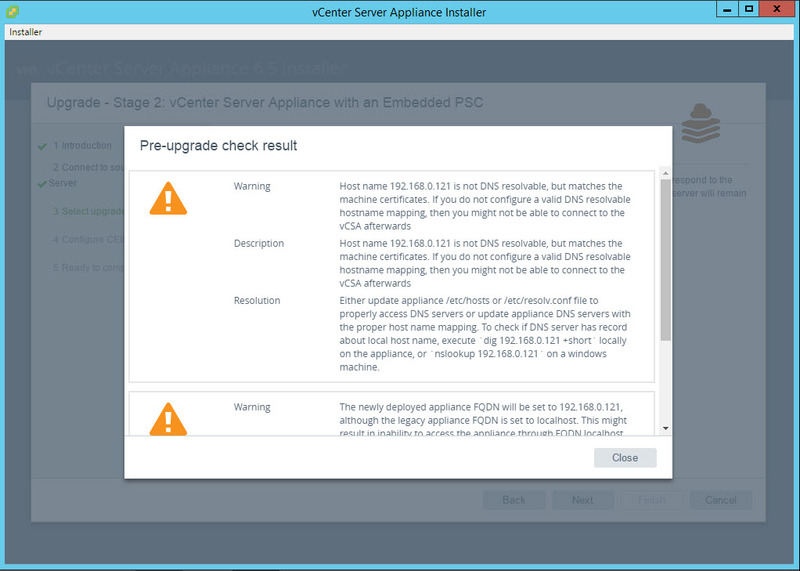 VCSA 6.5 includes many of the new features & performance improvements as compared to previous versions. 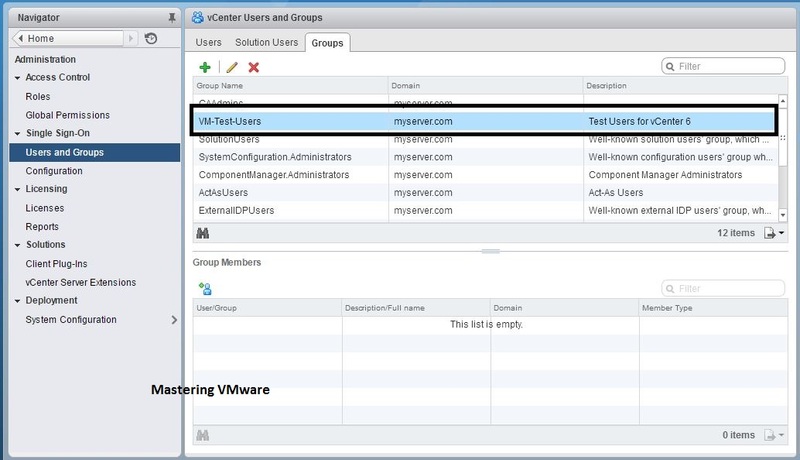 VCSA 6.5 includes the new & improved Web client for vCenter Management & also includes the whole new HTML5 based web client which can be access from any web browser. New HTML client is not fully functional till now but it will get the full features soon with the updates. 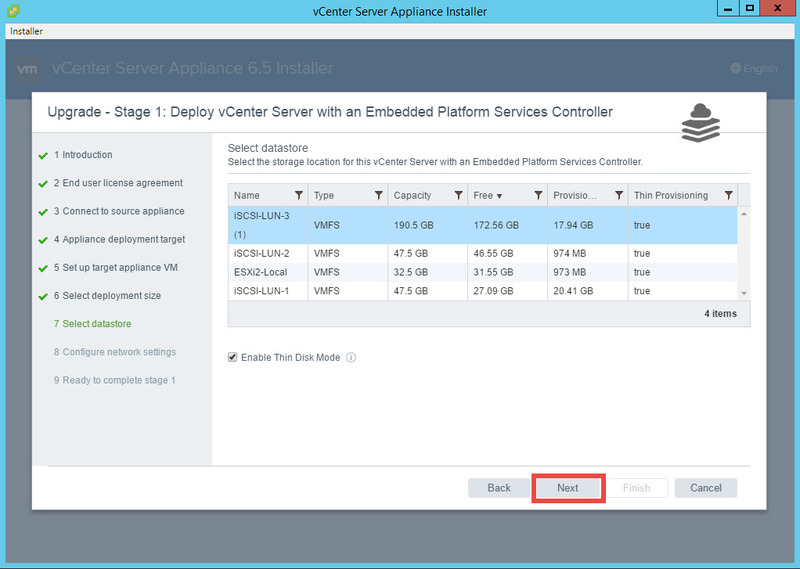 VCSA is an alternative option to windows based vCenter Server. 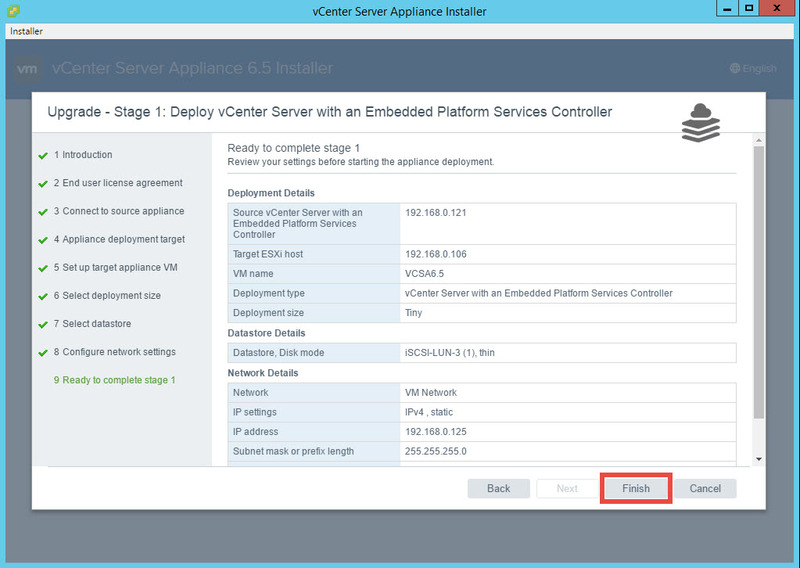 You already know that VCSA is an vCenter Appliance which is used for managing the vSphere objects from a single management console. 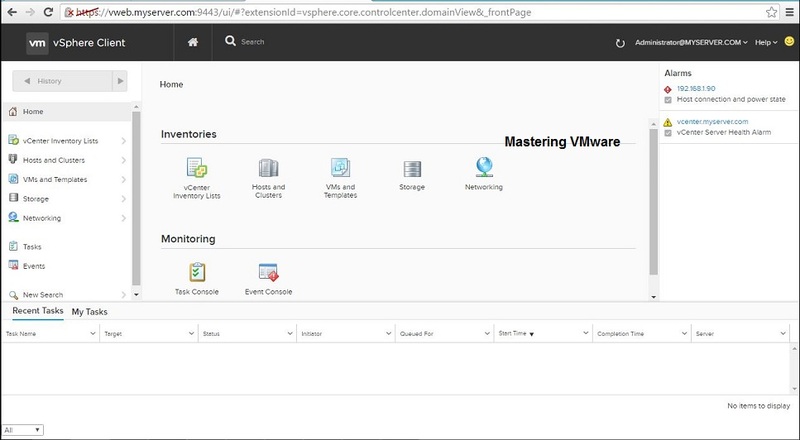 VCSA 6.5 is built on the VMware’s own photon OS. 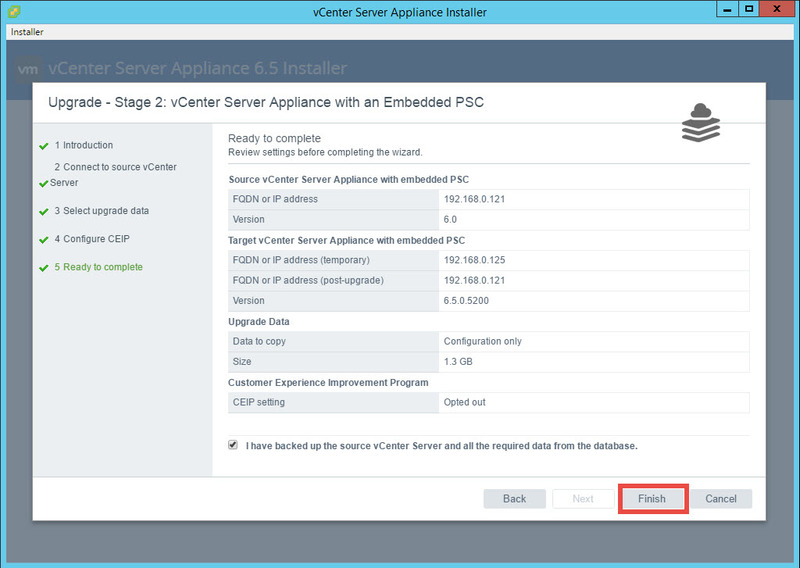 With new VCSA 6.5 you can directly upgrade the existing VCSA 6 to VCSA 6.5. 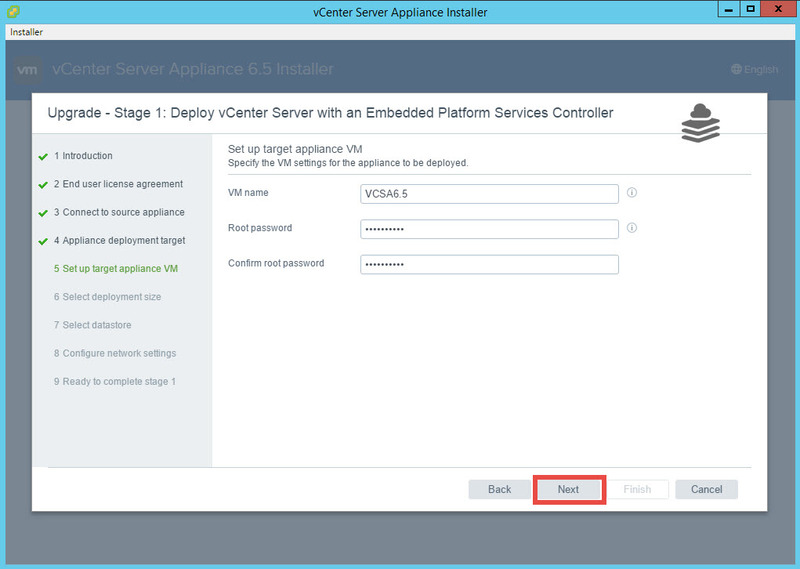 Checkout our Post on How to Install VCSA 6.5 Step by Step ? 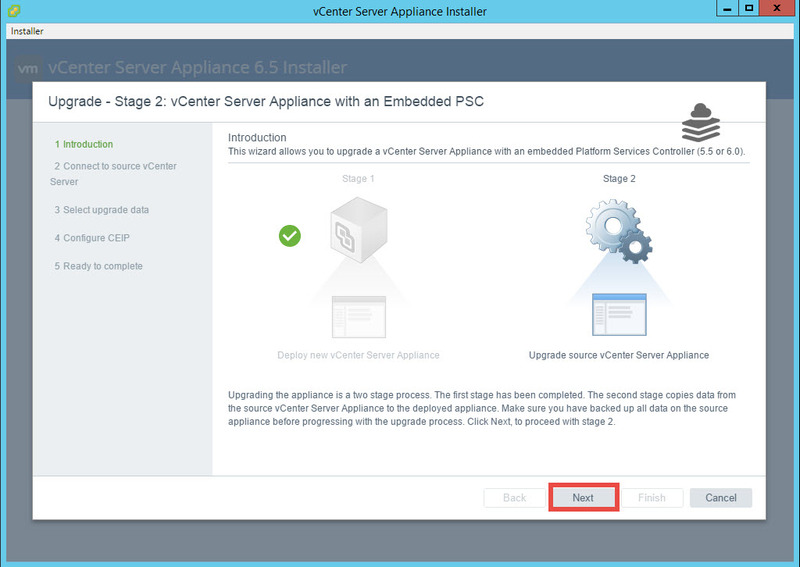 In this post we will see on how you can easily upgrade the VCSA 6 to VCSA 6.5. We are trying best to describe the steps in an easiest way possible. 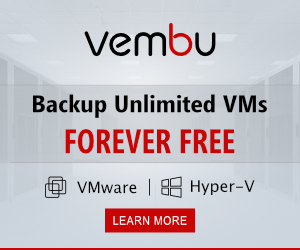 If you are using external database then also take the backup of it. 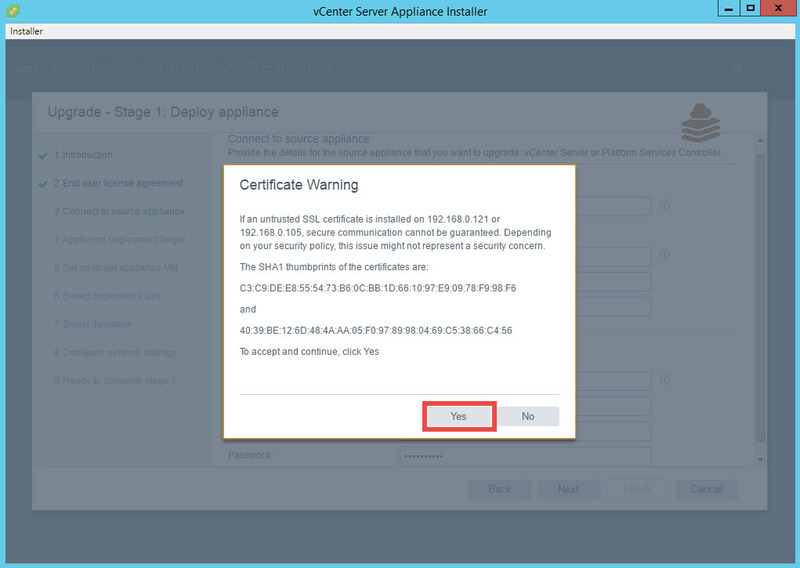 Download the VCSA 6.5 ISO from VMware. 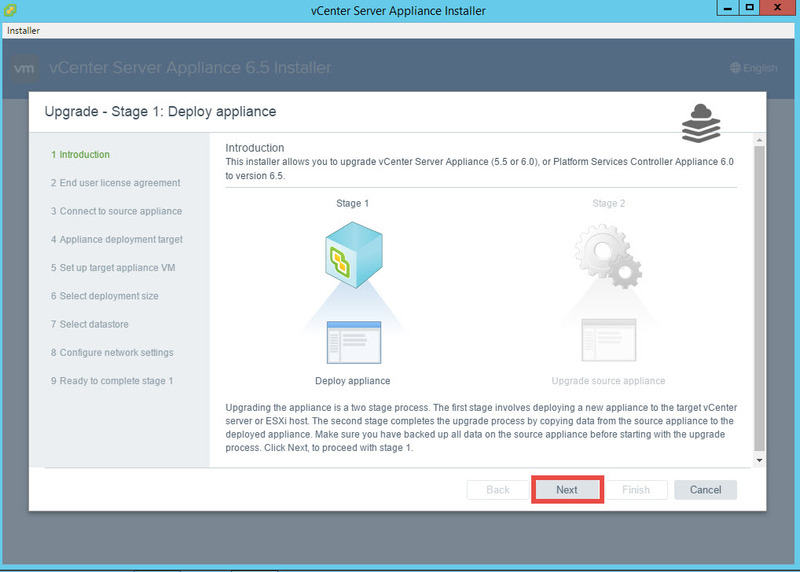 Choose the Upgrade option for Upgrade to an existing vCenter Server Appliance. 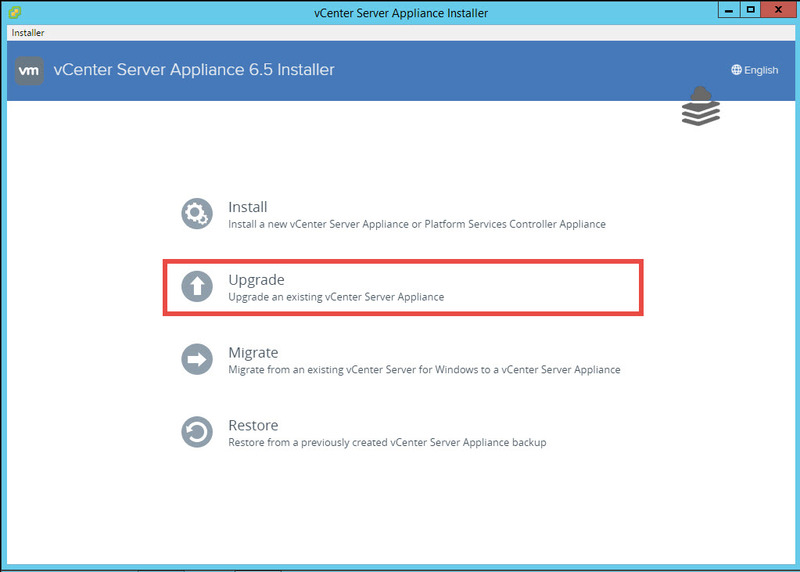 VCSA 6.5 Upgrade also consists of 2 stage Deployment & Upgrade procedure. As we are upgrading the existing VCSA we have to provide the source VCSA details. 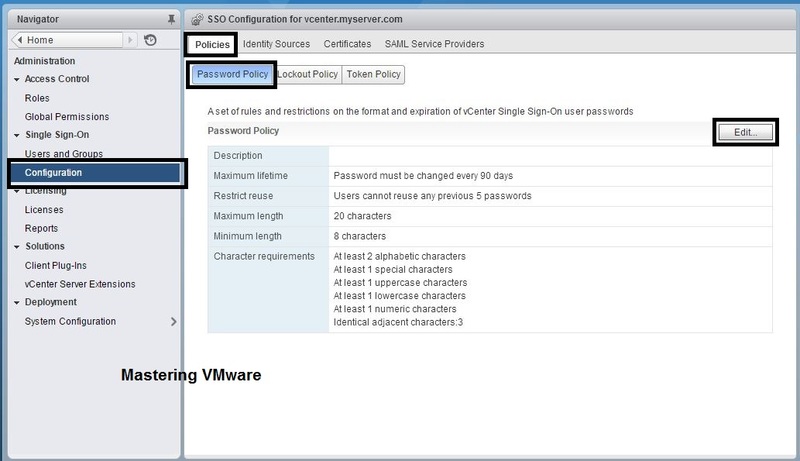 In first section provide the details of your existing VCSA 6. In second section you can either provide the host on which VCSA 6 is deployed & running currently or if you have multiple vCenter Server Instances running, you can provide its details also. It’s recommended to use with Host details. You will get the Certification warning. 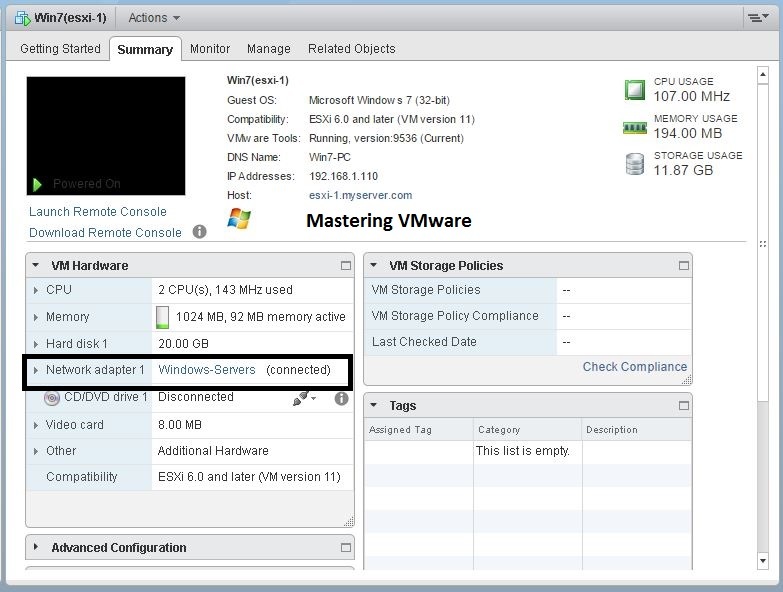 It will automatically display the deployment size & storage size by analyzing the existing VCSA 6. If you want you can also change the Deployment size & Storage size if you are planning to expand your environment in future. 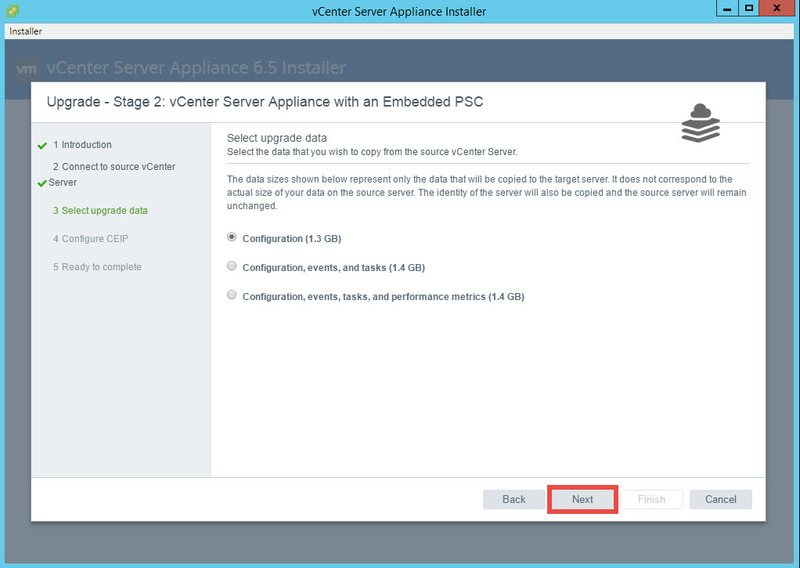 Select the datastore for vCenter Server Appliance 6.5. Now we have to configure the Network settings. 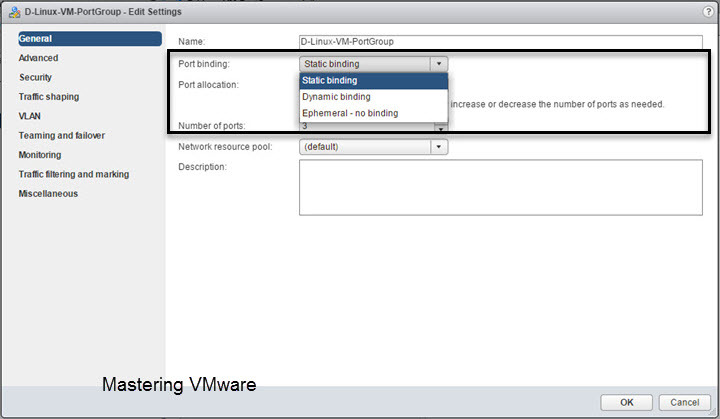 First choose the Network from the drop down you can see the available Port Groups of your existing VCSA so choose which one would you like to use. We have to set the Temporary Network settings because after successful upgradation all the network configuration will be same for the VCSA 6.5 as it was on VCSA 6. Check & Review the stage 1 configuration. 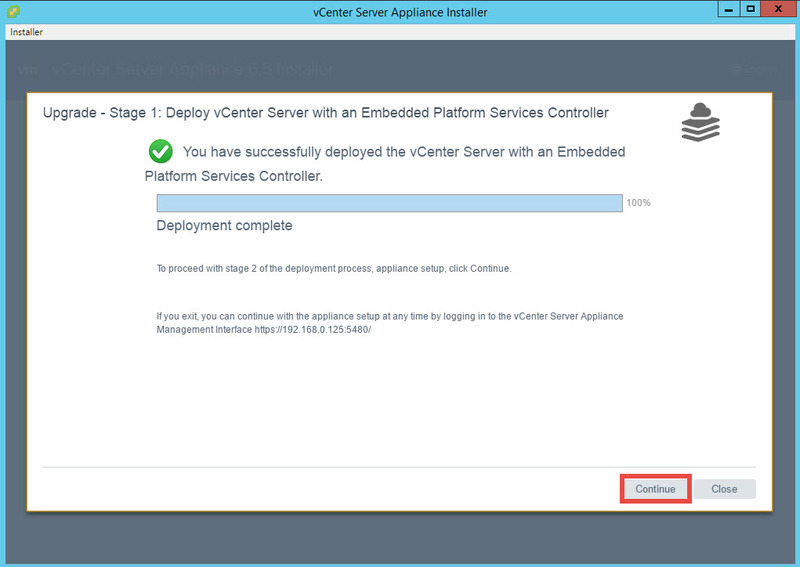 Click Finish to start the deployment process. It will take few minutes to deploy the VCSA 6.5. After successful deployment you will get below screen. Now we have to proceed with the stage 2 of the Upgrade process. Click Continue to proceed with stage 2. Change the DRS mode to Manual from Fully Automatic. If you are using only IP address you will get warning for Hostname Mappings. If you have any extensions then also you will get warning. So check each warning carefully & click on close button to close the Pre-upgrade check result prompt. 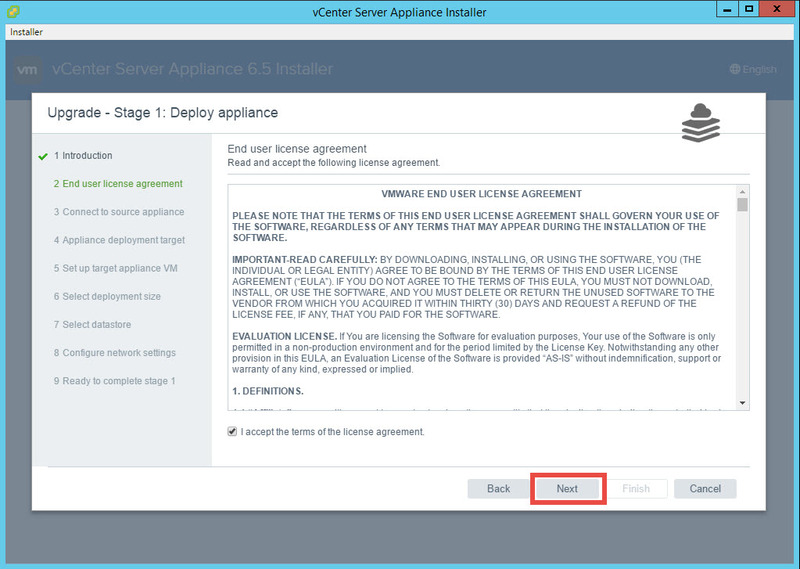 Here you can select which data & configuration you want to copy to the new VCSA 6.5 from existing VCSA 6. Choose which you want to copy & click Next to proceed. 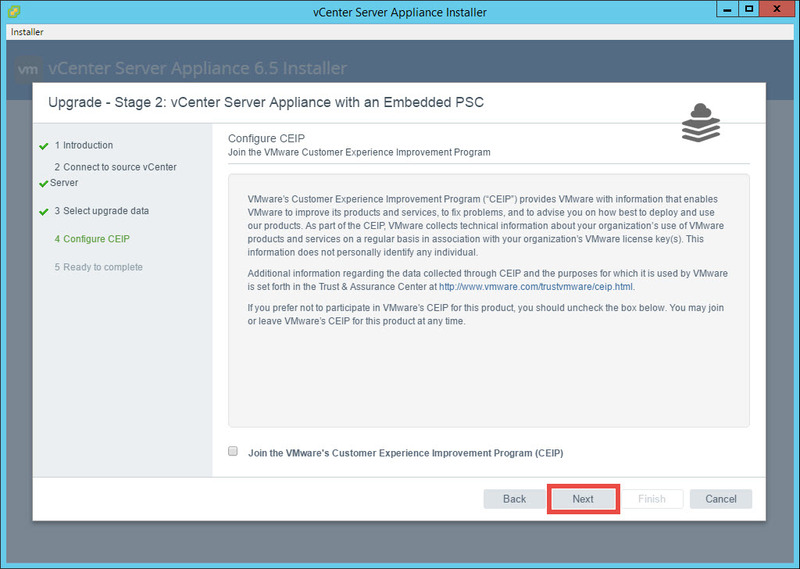 Here you can join the VMware Customer Experience Improvement Program. Now we are ready to start with the stage 2 Upgrade process. 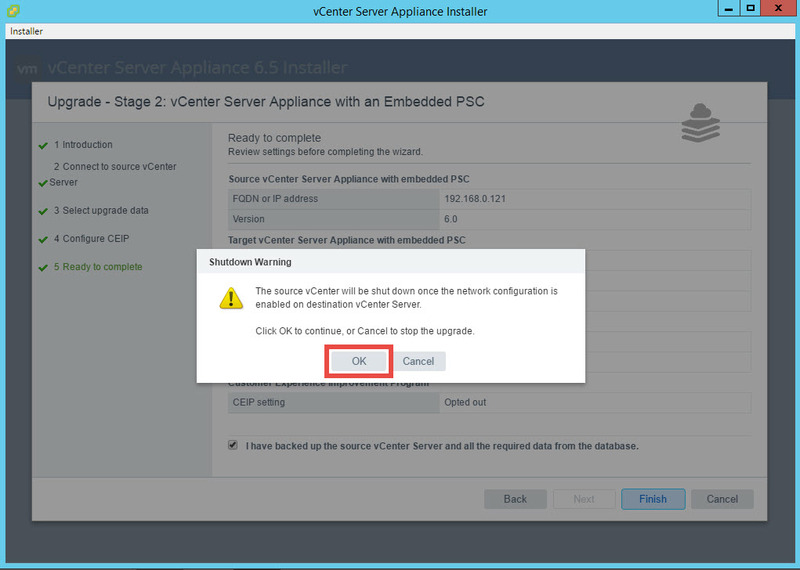 Check & Verify all the configuration before clicking on Finish because after the upgrade starts you can not make changes to the configuration. Click Finish to start the upgrade process. Click OK to close the prompt & start the Upgrade process. Now as you can see that Upgrade process starts with 3 steps. 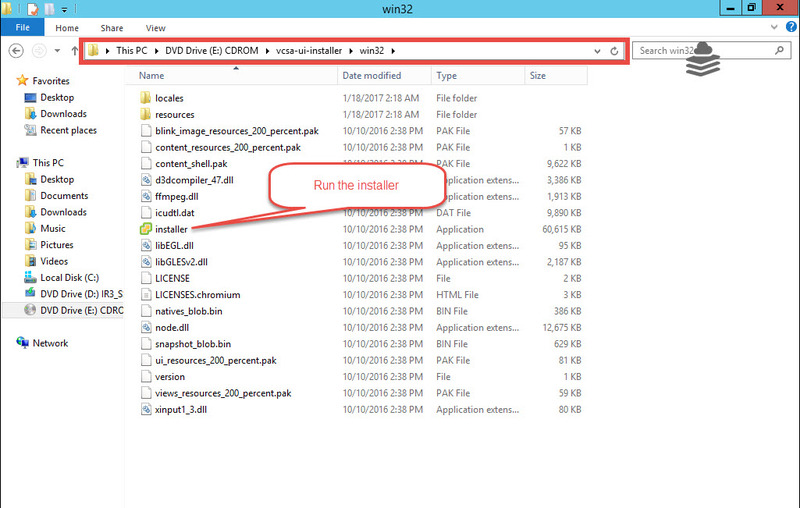 In First step VCSA 6.5 installer will copy all the data from existing VCSA. 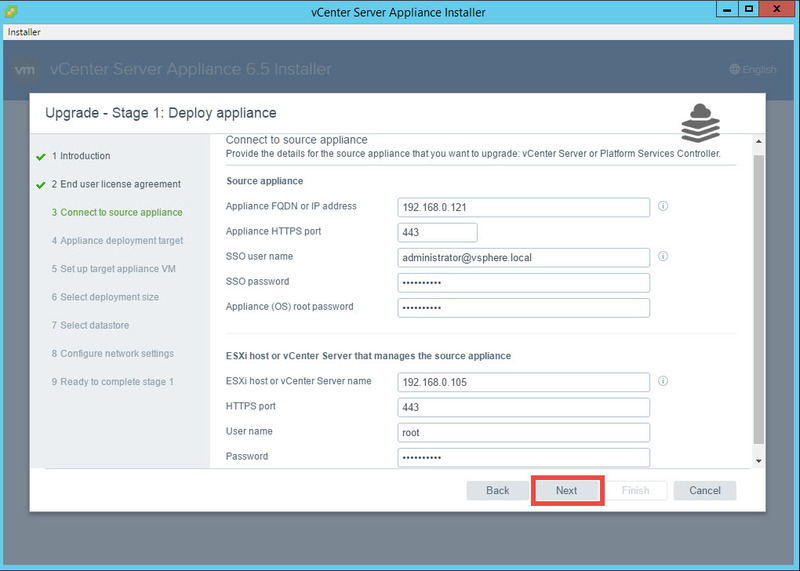 In Second step new VCSA 6.5 setup will be done & services will be started. 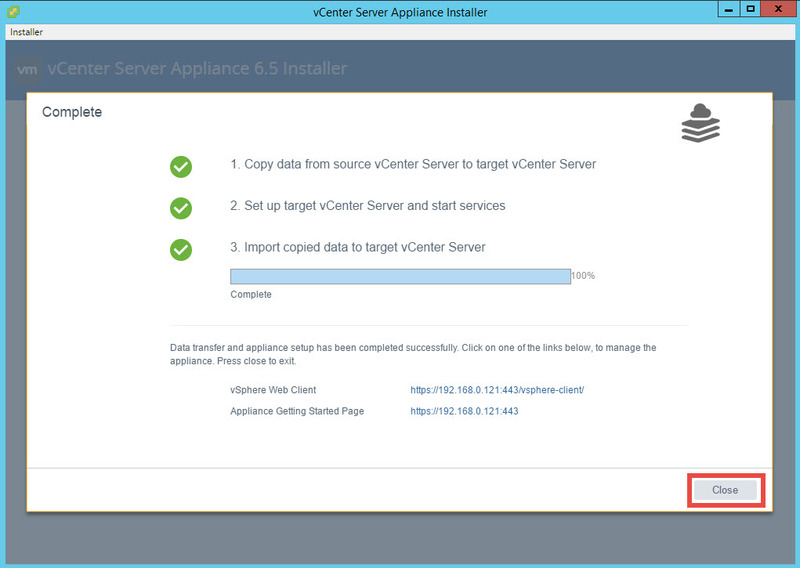 In Third step copied data will be imported to the newly deployed VCSA 6.5. You can also see the status of each task in the status bar. After successful installation you will see that all the 3 steps have been completed & upgrade process also completed. You can click on Close button to close the installer wizard. Now it’s time to access the VCSA 6.5. For accessing the VCSA 6.5 open the browser and type the IP address or hostname whichever you will be using. You will also get those details listed in the wizard. That’s it we have successfully upgraded the VCSA 6 to new VCSA 6.5. While doing in your company environment take care of the things & steps you are doing. Also make sure you take the appropriate backup.